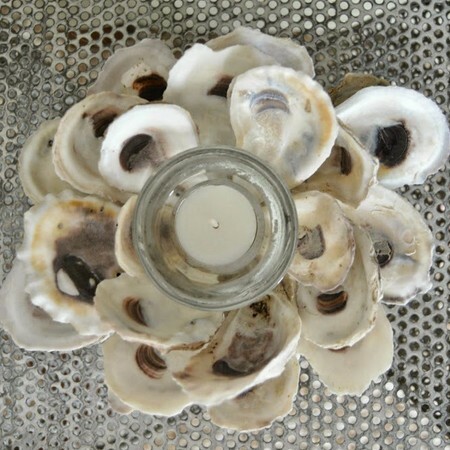 Make a candle holder out of oyster shells by gluing them on a halved Styrofoam ball! Follow the tutorial on the source to create this idea. See a tutorial for making tall candlesticks covered with oyster shells.